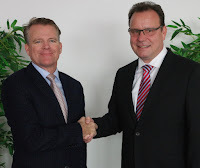 Read-out Instrumentation Signpost: MES & Connector partnership. CircuitByte (formerly Router Solutions GmbH) has partnered with Aegis, integrating their advanced BOM Connector™ tool with Aegis’ FactoryLogix® digital MES platform. CircuitByte will also be providing local sales and support, within central Europe, further expanding Aegis’ market presence and accelerating growth.